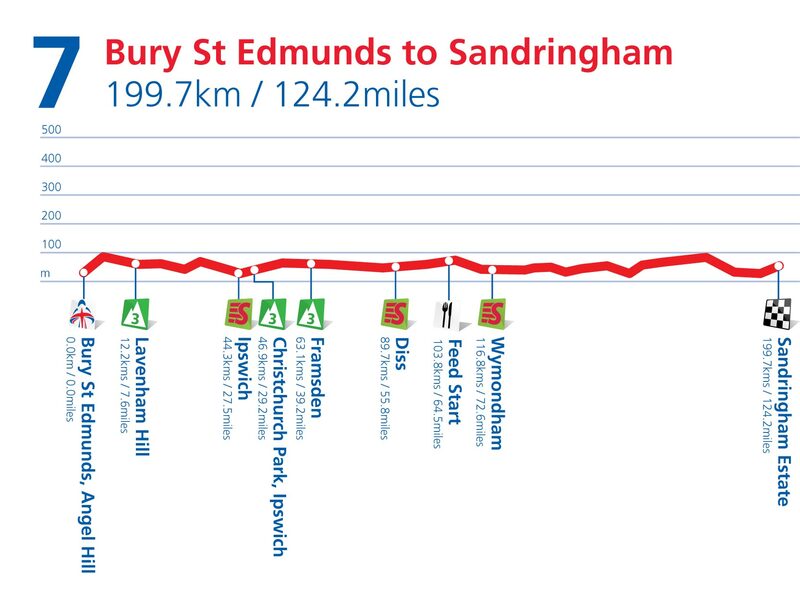 This longest stage of the race follows organiser SweetSpot’s consultation with the teams, who wanted some longer distances included. It also follows the tour’s longest transfer, with an estimated five-hour drive from Somerset. Luckily for the riders, this 200km jaunt is the race’s flattest stage. There are a few lumps on the way, but things should end in a bunch sprint in front of Sandringham House. 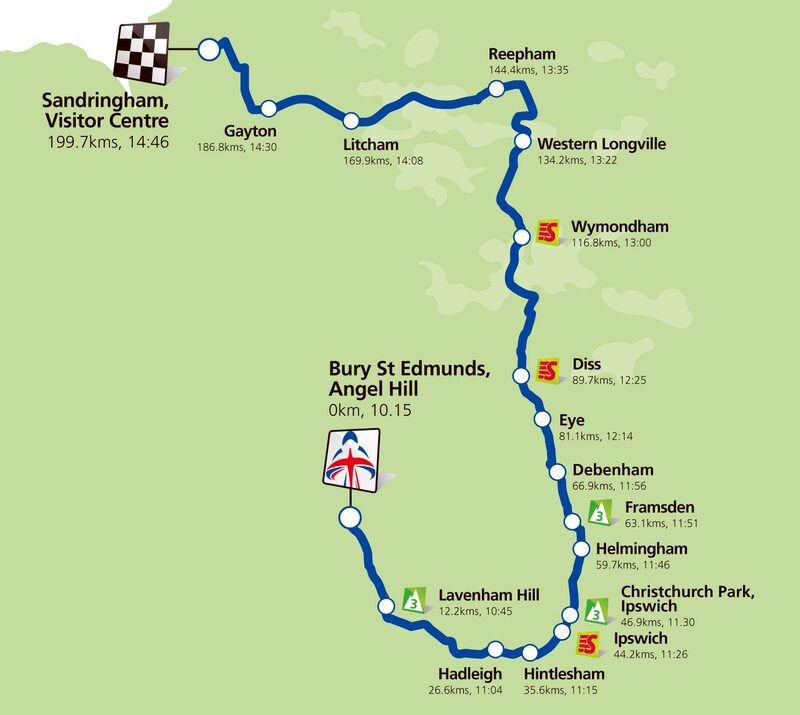 On the way, the route also passes Ipswich’s Chantry Park – the location for the 2012 European Cyclo-cross Championships – and Aspall’s Suffolk Cider orchards.